LONDON: 3 SEPTEMBER 2014 - ECR Minerals plc is pleased to announce that it has entered into an agreement in relation to a convertible loan facility (the “Facility”) of up to US$10 million to be made available by YA Global Master SPV Ltd (the “Investor”), an investment fund managed by Yorkville Advisors Global, LP. The Facility, which will be available to the Company for 3 years, provides for an initial loan tranche of principal amount US$1.5 million (the “Initial Tranche”) to be drawn down immediately by ECR, and for future tranches up to an aggregate principal amount of US$10 million. Neither the Company nor the Investor is under any obligation to agree to any loan beyond the Initial Tranche. ECR intends to deploy the net proceeds of US$1,371,000 (before any bank charges) from the Initial Tranche primarily in connection with its gold exploration interests, namely the Itogon gold project in the Philippines and the SLM gold project in Argentina, as well as to support the other activities of the Company. Drilling is expected to recommence at the Itogon project during Q4 2014, and sampling at surface is ongoing. At the SLM project, surface sampling and detailed geological mapping is underway. Material results of activities at both projects will be reported as and when they become available. ECR may also use part of the proceeds of the Initial Tranche to take advantage of one or more additional investment opportunities which are under review, although there is no certainty that any of these will progress to the stage of actual investment. “This agreement represents ECR’s first new financing in almost a year, and since our last funding the Company’s position has improved in leaps and bounds. 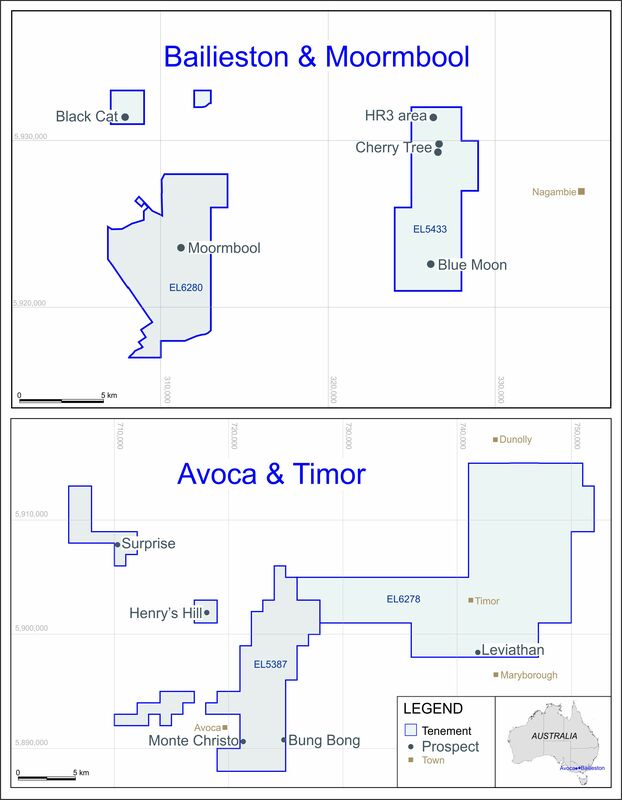 ECR now has interests in two exciting gold projects, both of which have seen significant exploration work completed in recent months, with encouraging results. Moreover, carefully considered activities are continuing on the ground, with the objective of advancing both projects and thus creating value for ECR shareholders. The funding announced today will enable this operational momentum to be sustained, as well as allowing the Company to act, if appropriate, upon additional opportunities. The outstanding principal amount of a tranche (a “Loan”) drawn down by ECR under the Facility is convertible at the Investor’s option into ordinary shares of the Company of 0.1p (“Ordinary Shares”) on the following terms: (a) at 92.5% of the average daily volume weighted average price (VWAP) of the Ordinary Shares during the 10 trading days preceding the conversion date, conversion on this basis being restricted to a maximum amount of US$250,000 per calendar month; or (b) at £0.003735 (0.3735p) in the case of the Initial Tranche or 150% of the average daily VWAP of the Ordinary Shares during the 5 trading days preceding drawdown of any subsequent Loan, conversion on this basis being subject to no maximum amount. On maturity of a Loan, which shall be 2 years from the date of drawdown (extendable by up to 1 year at the option of the Investor) any outstanding principal amount will be mandatorily converted to Ordinary Shares at the closing price of the Ordinary Shares on or immediately prior to the maturity date. Interest on the outstanding principal amount of a Loan will accrue at 10% per annum, payable in Ordinary Shares at 92.5% of the average daily VWAP of the Ordinary Shares during the 10 trading days prior to the interest payment date. An implementation fee of 7.5% of the principal amount of each Loan is payable to the Investor upon drawdown of the relevant Loan. The Company is entitled to prepay a Loan in cash, in whole or in part, by making a payment to the Investor equal to the principal amount to be prepaid plus any interest due and an additional amount of 10% of the principal amount to be prepaid. The Facility provides for customary events of default, and following an event of default the outstanding principal amount of a Loan plus interest may in certain circumstances become immediately due and payable in cash. If an event of default has been continuing for at least 30 calendar days, the outstanding principal amount of a Loan may at the Investor’s option be converted in whole or in part to Ordinary Shares at 80% of the VWAP of the Ordinary Shares for the 5 trading days preceding the date of such a conversion. In the event that the 30 day moving average closing price of the Ordinary Shares falls below the nominal value of an Ordinary Share for a period of 5 consecutive trading days, the outstanding principal amount of a Loan shall become repayable in cash on a monthly basis over the remaining term of the Loan, with interest also payable in cash. If the closing price of the Ordinary Shares were to subsequently cease to be less than the nominal value of an Ordinary Share for a period of 10 consecutive trading days, the monthly cash repayments would no longer be required and the Loan would revert to being convertible into Ordinary Shares on the prior terms. With respect to the Initial Tranche, the Investor has received 94,500,000 warrants, each exercisable to acquire one Ordinary Share for a price of £0.003 (0.3p) and valid for 3 years. In connection with any subsequent Loan, the Investor will receive a quantity of warrants equal to 25% of the principal amount of such Loan (converted to £) divided by the closing price of the Ordinary Shares on the trading day prior to the date of drawdown, each warrant to be valid for 3 years and exercisable to acquire one Ordinary Share for a price equal to 125% of the VWAP of the Ordinary Shares on the trading day prior to the date of drawdown. The Investor and its affiliates, associates, partners and insiders are prohibited under the terms of the Loan Facility from holding a net short position in respect of Ordinary Shares at any time, and from assisting or enabling any other person to do so (including by the lending of Ordinary Shares). ECR has a 100% interest in the Sierra de las Minas gold project in La Rioja Province, Argentina, the exploration strategy for which is to delineate multiple medium to high grade, low tonnage deposits suitable for advancement to production on a relatively low capital, near term basis.